Pocket sized alarm system to remind user to take medication. Up to 8 reminders can be set per day, and there is a countdown timer mode feature available. 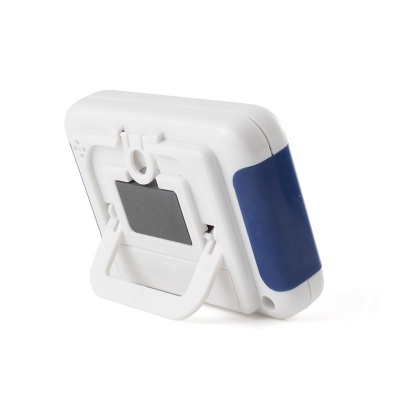 The Tab Time range offers a variety of pill boxes and dispensers, perfect for alerting you when to take your medication. Fully automated, they can deliver precise reminders and even have the correct dosage ready for you. But what if you don't need something quite so advanced as this? You might feel that a pillbox is too specific, but that you would still like a helpful nudge to remind you to take your medication. If you're a busy-body on the go, it can sometimes feel like you have a million things going on in your head at once. The Tab Timer Pill Reminder is a great solution to this, allowing you to set up to eight daily alarms so that you can always stay on top of your day. 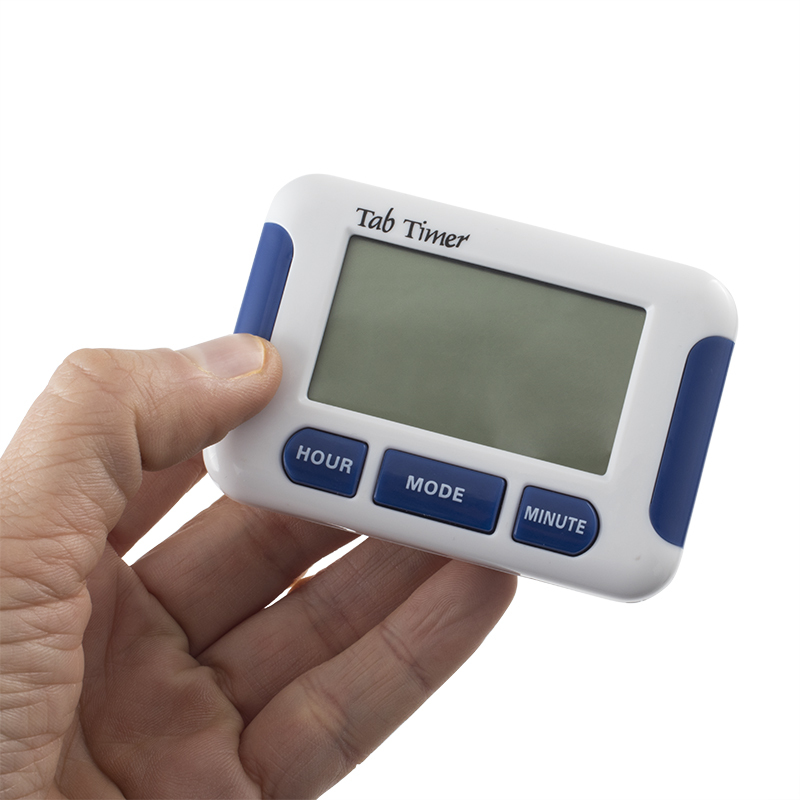 So whether you need a hand remembering when to take medication, need a timer to use in the kitchen, or just want to remember to do a certain job at a certain time, the Tab Timer can help you out. How Does the Tab Timer Work? 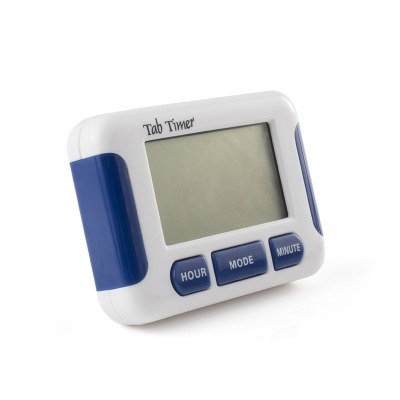 Just three large buttons control all functions on the Tab Timer, so it's really easy to set up and navigate. The device allows you to set up to eight different alarms and program in exactly when you would like to be alerted. The device will clearly alert you using a distinct alarm sound, and a countdown timer can also be set for regular reminders. The handy device features a built-in magnet and an attachment so you can choose whether to stick it to your fridge, hang it from the wall or stand it on a surface. It's also pocket sized so you could even keep it on your person, making it great for use on the ward if you are a nurse.